We are really appreciated that if you can send the pictures of the received kits. And please join our facebook group: Allchips. Know more about Allchips, Google search “Allchips”. Thanks to Sinovoip for sponsoring this activity. One account can only apply for one development kits. August 20th we will announce who will receive the final quota. Our customer service people will contact you and please ensure that you have the right contact. Apply for the Development boards you need. BPI-Webduino:bit board - The hottest IOT development kits. 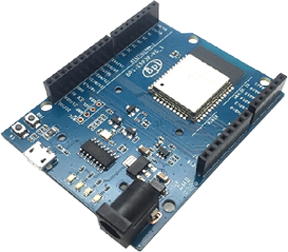 Suitable for iot maker, hobbyists and students or teacher working on open projects. BP: bit board。use ESP32 module design。 ESP32 is integrated 2.4 G WiFi and bluetooth dual-mode single chip solutions, ultra-low power consumption of 40 nm process, with the best power performance, emission performance, stability, versatility and reliability, is suitable for various applications and different power requirements. ESP32 adopts Xtensa 32bit LX6 single/dual-core processor, with a capacity of up to 600DMIPS, with a built-in 448KB ROM and 520 KB SRAM. 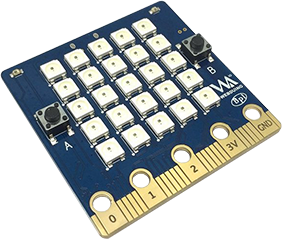 BPI: bit provides a wide range of onboard resources, supports photosensitive sensor, digital triaxial sensor, digital compass, temperature sensor interface, gold finger interface and micro:bit fully compatible. BPI-UNO32 is an ESP32 with Xtensa 32bit LX6 single/dual-core processor based embedded system. support Webduino and arduino function. BPI-UNO32 uses the ESP-WROOM-32 of espressif company as MCU. ESP32 is a single-chip solution integrating 2.4GHz Wi-Fi and Bluetooth dual mode. The 40 nanometer technology of TSMC has the best power consumption, RF performance, stability, versatility and reliability. It can deal with various application scenarios. Two separate controlled CPU cores, the main frequency can be up to 240MHz, 448KB ROM, 520KB SRAM. 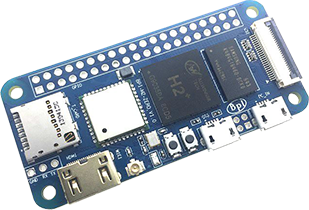 Banana Pi M2 Zero uses quad-core Cortex A7 allwinner H2+ processor, with 512MB RAM memory. It's ideal for light-weight systems with some space-limited applications. Like other members of Banana Pi, it supports both linux and android operating system. The board is said to support Android, Ubuntu, Debian and “Raspberry Pi” images. The latter obviously means Raspbian with Allwinner H2+ Linux kernel and U-boot, not the actual Raspbian for Raspberry Pi images. But currently, only Ubuntu 16.04 Mate image with Linux 3.4.113 appears to be available for download, and documentation is not ready yet. You might consider trying Armbian image for Orange Pi Zero, or even Ubuntu 16.04.2 image for NanoPi Duo. Both images might need some tweaking with device tree file, and the WiFi module. Concert the activity, You can join in the Skype group " https://join.skype.com/REYq8EYMTkU1". Or you can join in the facebook group " https://www.facebook.com/groups/111975152789892/?source_id=120943755166878". SINOVOIP have more than 12 years Professional embedded software and hardware development and production experience, supply the development and manufacture for hardware product innovators, they have more than 50 software and hardware engineers. Their factory more than 10000 square meters, and have more than 400 workers. SinoVoip have business with more than 80 countries all over the world, and we have agent in more than 40 countries. When you provide your BOM list, we will reply within 6 hours with professional suggestion for EOL parts and replacements with the best lead time .We have 30 professional purchasers with 5 years working experience for your BOM. All electronic components in your BOM list will be 'BOM IN ONE BOX' and will be delivered soon.